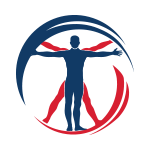 STAMFORD, Conn., Aug. 28, 2017 (GLOBE NEWSWIRE) — SoldierStrong, a nonprofit organization dedicated to providing advanced medical technologies to veterans, today announced that in partnership with the Fraternal Order of Eagles, it will be donating an EksoGT™ exoskeleton, to the CHI Health Immanuel Rehabilitation Institute. The donation ceremony, which will include a patient demonstration, will take place at the center on Monday, August 28th at 1:30 p.m. Manufactured by Ekso Bionics®, the EksoGT is the first and only exoskeleton cleared by the FDA for use with stroke and spinal cord injuries from L5 to C7. The suit’s patented technology provides the ability to mobilize patients earlier, more frequently and with a greater number of high intensity steps. With SmartAssist™ software, the EksoGT is the only exoskeleton available for rehabilitation institutions that can provide adaptive amounts of power to either side of the patient’s body, challenging the patient as they progress through their continuum of care. 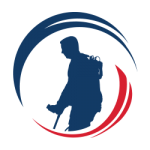 This is the third time Fraternal Order of Eagles and SoldierStrong have collaborated to raise funds, purchase and donate an EksoGT device to rehabilitation programs serving injured U.S. veterans. Together, the organizations raise $150,000 for the purchase of each device they donate. 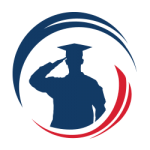 “We are proud of our longstanding partnership with SoldierStrong. Our combined efforts are impacting lives in a truly meaningful way,” said Tom McGrath, Grand Worthy President, Fraternal Order of Eagles. CHI Health is a regional health network with a unified mission: nurturing the healing ministry of the Church while creating healthier communities. Headquartered in Omaha, the combined organization consists of 14 hospitals, two stand-alone behavioral health facilities, more than 150 employed physician practice locations and more than 14,000 employees in Nebraska and southwestern Iowa. CHI Health is part of Catholic Health Initiatives (CHI), a national nonprofit health system based in Englewood, Colorado. The faith-based system operates in 18 states and includes 103 hospitals, as well as long-term care, assisted- and residential living communities; community health services organizations; home health agencies and outpatient facilities and services. In fiscal year 2016, CHI provided more than $1.1 billion in financial assistance and community benefit. CHI generated operating revenues of $15.9 billion and has total assets of approximately $22.7 billion.